"Let It Snow, Let It Snow, Let It Snow" is track #13 on the album The Classic Christmas Album. It was written by Styne, Jule/cahn, Sammy. 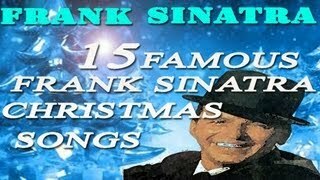 Dec 03, 2011 · Frank Sinatra - Let It Snow!Let It Snow!Let It Snow! FRANK SINATRA lyrics - Let It Snow! Let It Snow! Let It Snow! Frank Sinatra Let It Snow! Let It Snow! Let It Snow! lyrics: Submit LyricsYour name will be printed as part of the credit when your lyric is approved. Listen to music by Frank Sinatra (Holiday) on Pandora. Discover new music you'll love, listen to free personalized radio. Lyrics Artists: F Frank Sinatra Let It Snow!